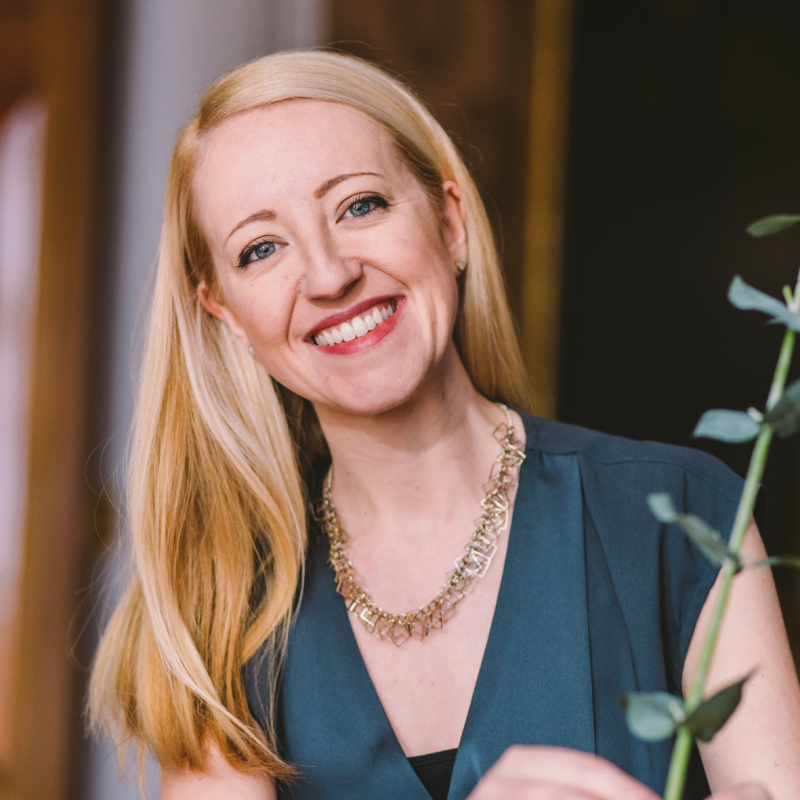 Whether you’re planning a winter wedding or you’re going to be a guest at one, deciding what to wear can be tricky when the weather’s cold. Especially if you are, like me, a) Scottish, b) attend a lot of Scottish weddings, c) are always cold, and/or, d) always seem to be a slave to what you’re wearing…! And there’s nothing worse than putting together a beautiful outfit only to have your outerwear let you down! Finding a chic yet wedding appropriate coat or jacket can sometimes be a last priority, so we’ve collected three options from some of our favourite stores for some modern winter wedding cover up ideas. We should have something for everyone on this list, from kimonos to pea coats in a range of neutrals and softer colours… and better still, some of the January sales have started early! 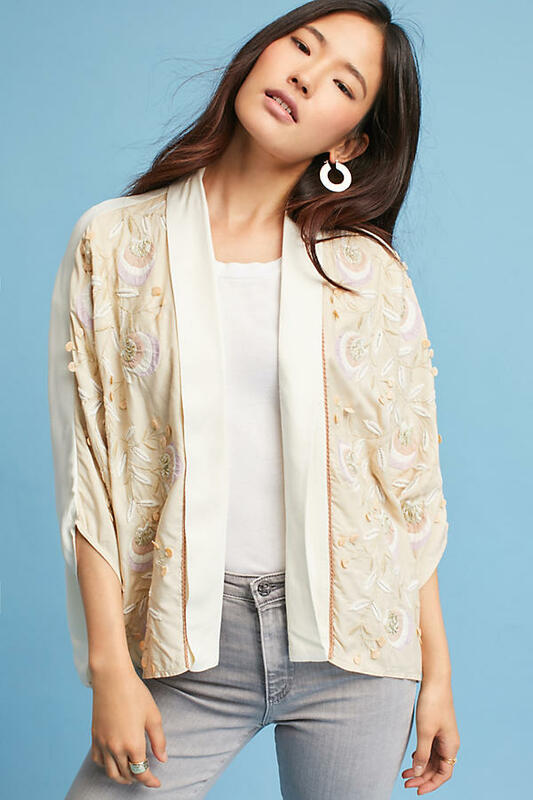 Horatia Embellished Jacket – This drop shoulder jacket features intricate embellishments and will add a ladylike touch to any wedding ensemble. An ideal lighter weight cover up. 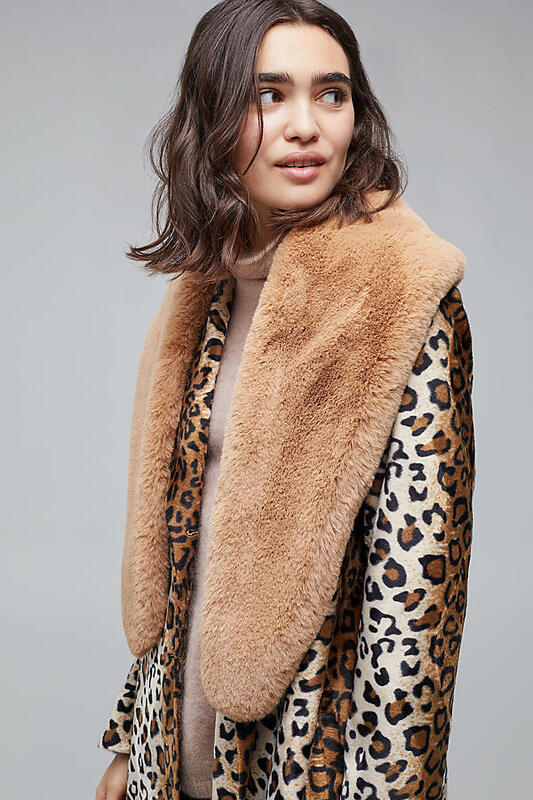 Bourgeois Faux Fur Coat – This fleecy faux fur makes the Bourgeois jacket a cosy cold weather staple, it also features pretty geometric embroidery on the shoulders which gives it slightly more modern edge. Esme Faux-Fur Collar – This plush, faux-fur scarf in this neutral shade will match any outfit and could be used as a wrap, drape or a scarf. 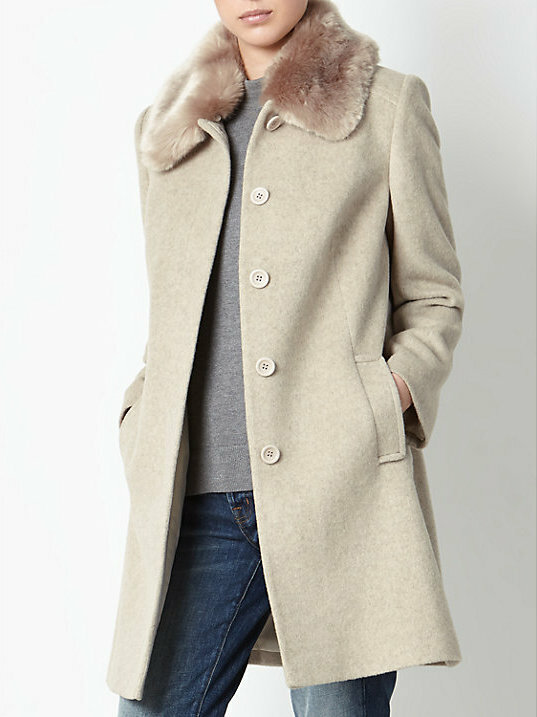 Oasis Olivia Princess Coat – This warm coat features long sleeves and a fluffy faux fur collar neckline, perfect for really cold days when you need to look your best. The collar adds a little touch of class to an otherwise plain slimline coat. 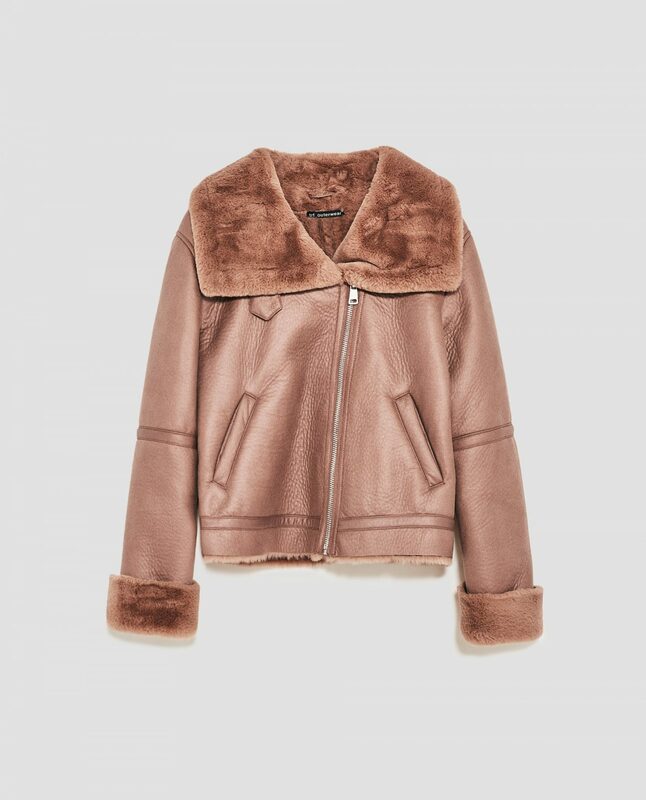 French Connection Paulette Faux Fur Coat – I LOVE this one and have it saved in my basket…! 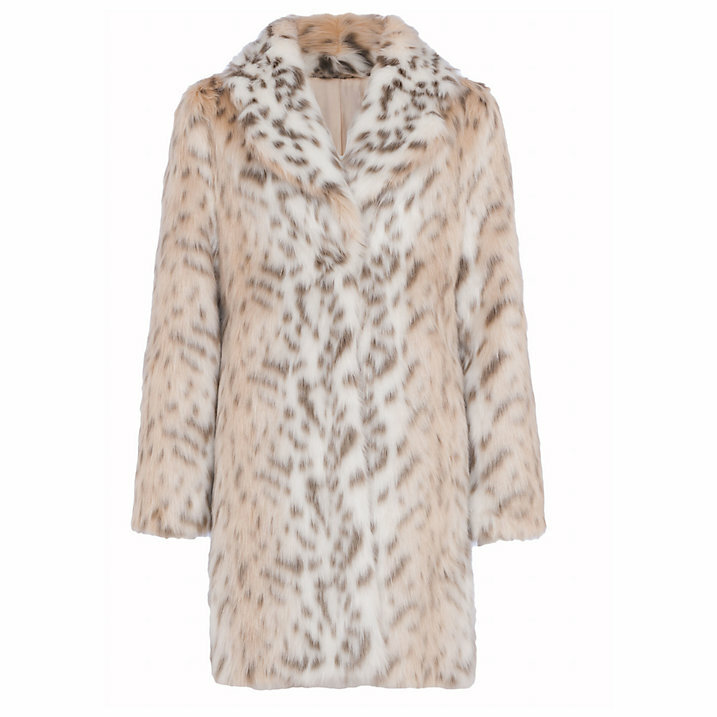 This glamorous faux fur coat will make any winter wedding cosy, a great option for a city wedding. 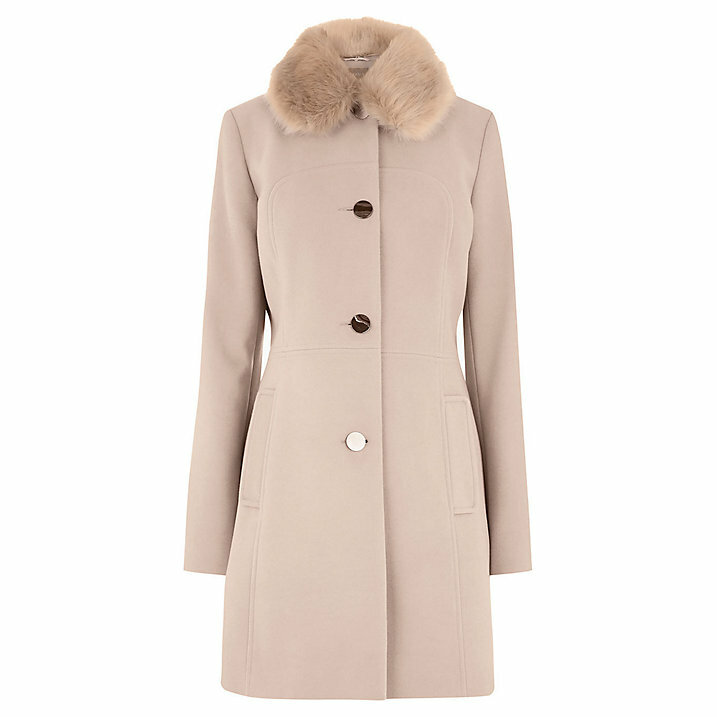 John Lewis Jenny Faux Fur Collar Coat – This coat features a classic and feminine shape and the soft neutral colour means it’s bound to match any wedding outfit. 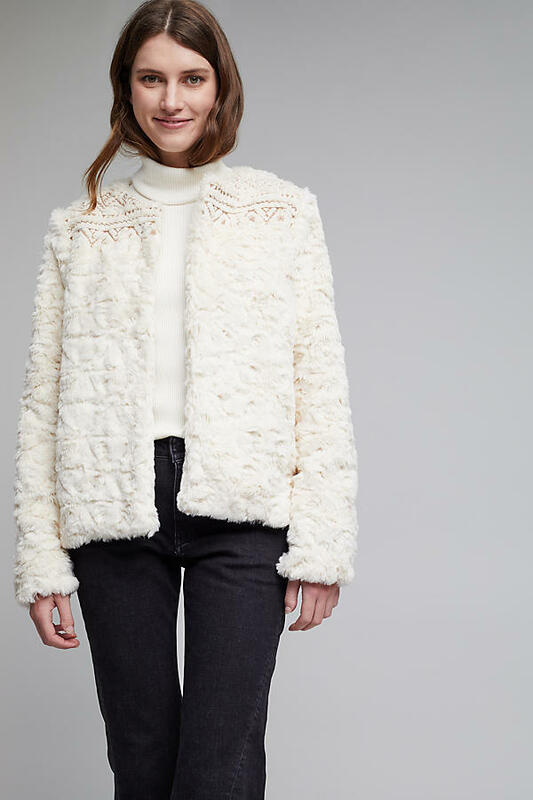 The wider fur collar adds a special festive touch. 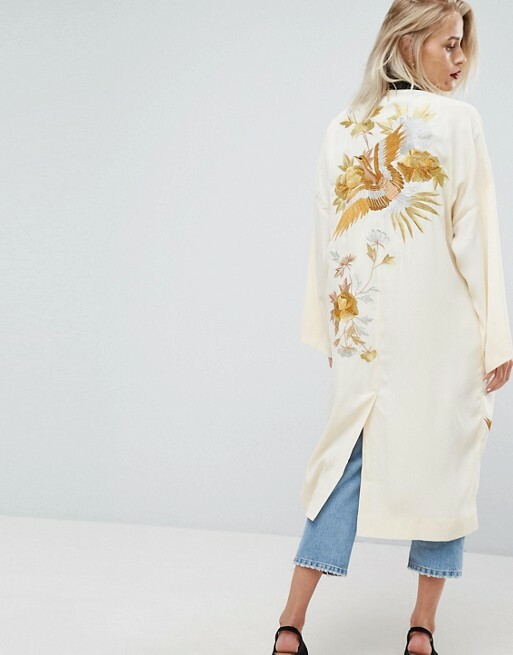 ASOS Premium Kimono Duster Jacket with Bird Embroidery – This lightweight kimono jacket is definitely one for all you cool brides to be, the perfect partner to an alternative wedding dress. The detailing is gorgeous but isn’t too overpowering due to the colour palette. 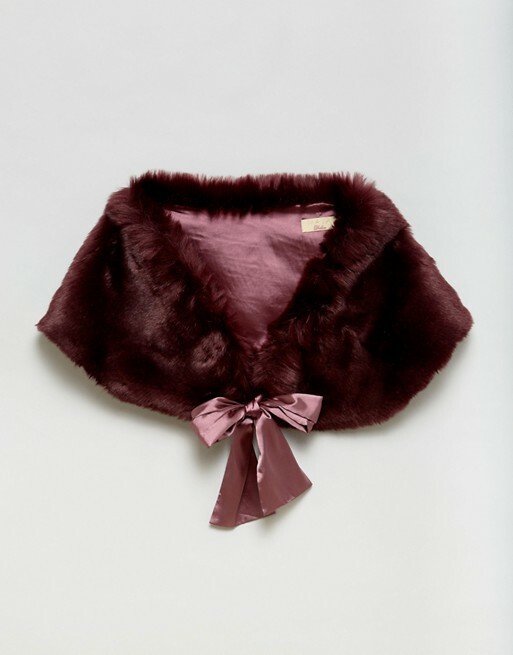 Maya Faux Fur Cape With Tie Detail – the perfect coverup for a Christmas wedding. The rich burgundy fur and ribbon tie detail are traditional enough for a classic church wedding whilst still looking stylish. Cute for outside photos, too. 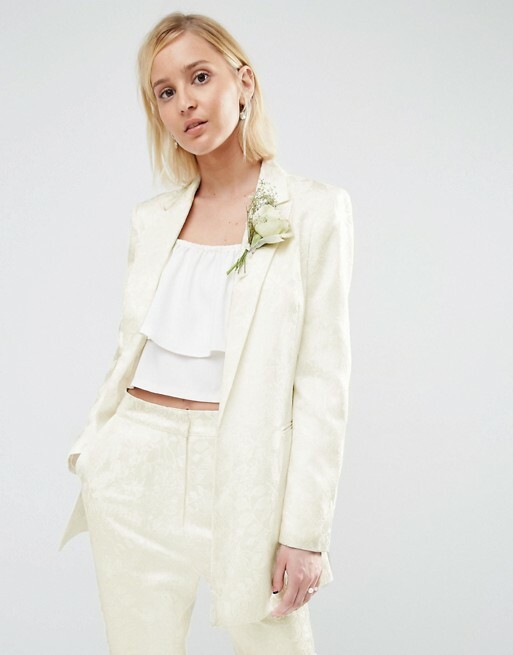 ASOS BRIDAL Jacquard Blazer – A classic blazer is all you’ll need if you’re planning a town hall or city wedding, this beautiful jacquard blazer will work wonderfully with any modern outfit, and the print is super subtle and super chic. 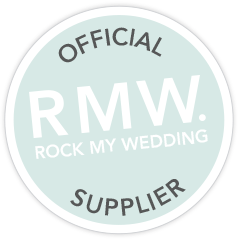 Short Biker Jacket – This is a great option if you’re having a relaxed or alternative wedding, the dusty pink colour also keeps things soft and bridal. 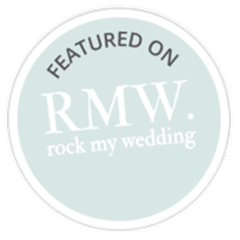 This would work great if you are having rose gold accents to your wedding. 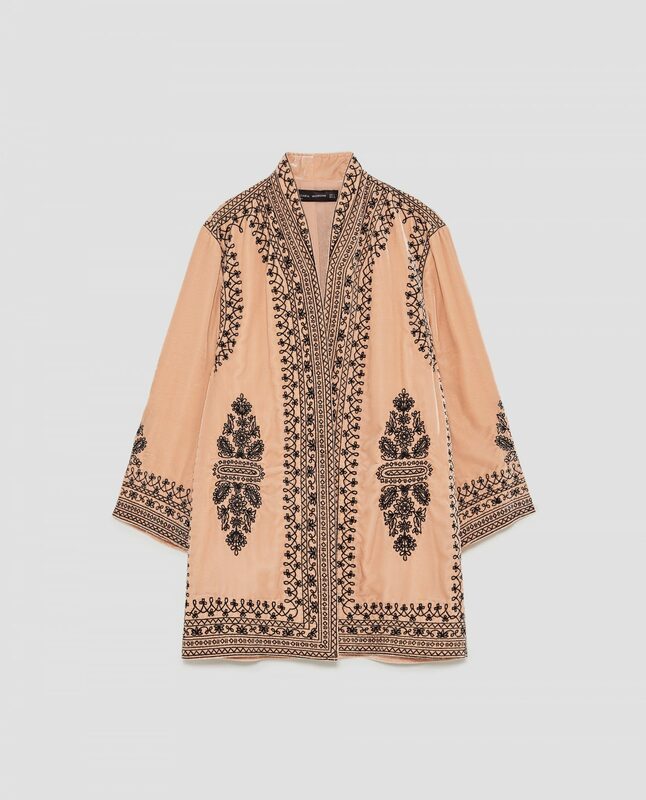 Embroidered Velvet Kimono – The velvet fabric is winter appropriate whilst the pink colour and pretty embroidery add a delicate feeling. A great option for modern brides to be, just be careful with the black embroidery, perhaps it would be nice to tie this in with some black ribbon corsages or black ribbons in your hair. 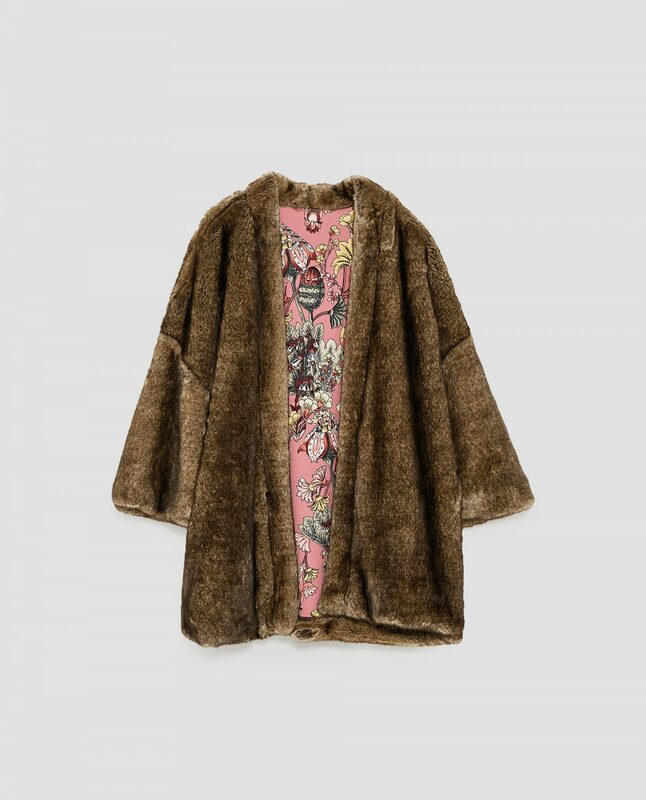 Reversible Kimono – With this jacket, you can decide whether you want to show the pink floral fabric or the faux fur depending on the weather… or your mood! You could wear it one way for your ceremony and the other for your photographs. 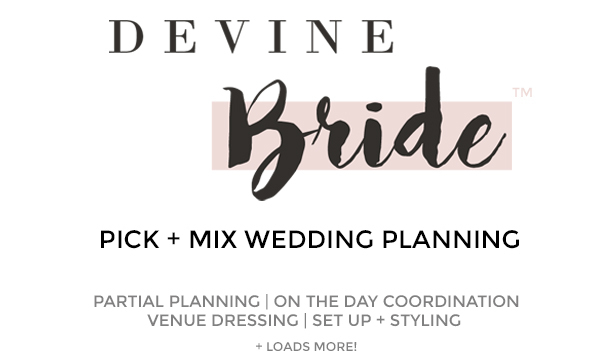 Wishing you a warm winter wedding with best wishes from all of us here at Devine Bride!